After spending a couple nights downtown Cape Town, I made a move to the outskirts to get a different perspective on the region, and maybe even a bit of solitude. 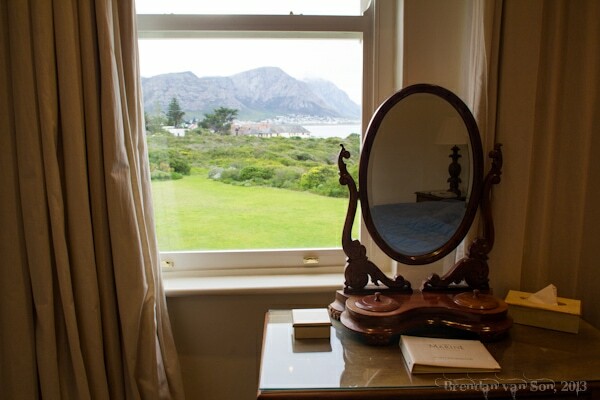 I did so by first spending a night at The Cellars-Hohenort and then The Marine hotel in Hermanus, both properties a part of a collection designed by Liz McGrath. 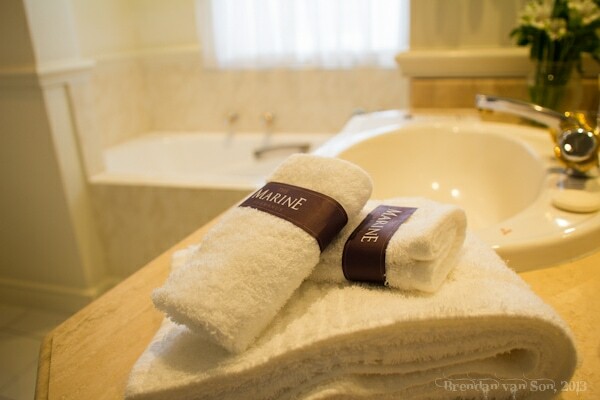 Both offer something completely different, but both are 100% class, and each offer a great escape from downtown Cape Town. 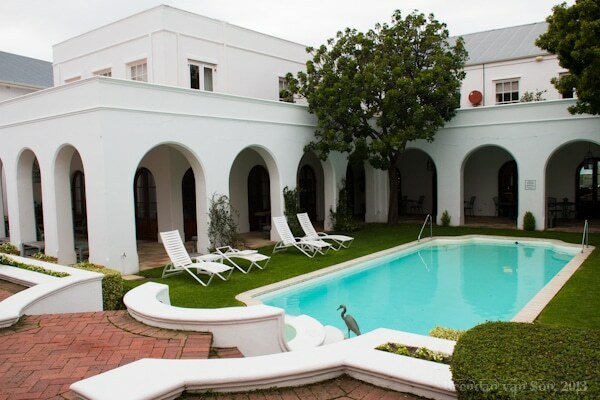 In the wine district of Cape Town, The Cellars-Hohenort is a peaceful choice if you’re hoping to explore the garden district of the city. 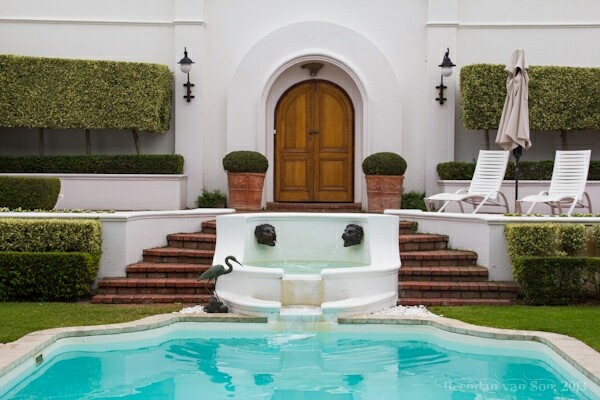 This elegant property is situated just minutes down the road from some fantastic wineries such as Groot Constantia. 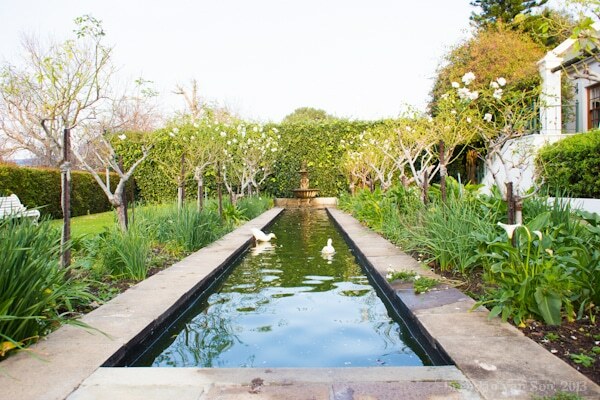 It’s also basically attached to the incredible Stellenbosch Gardens. Moreover, the property itself is a destination. 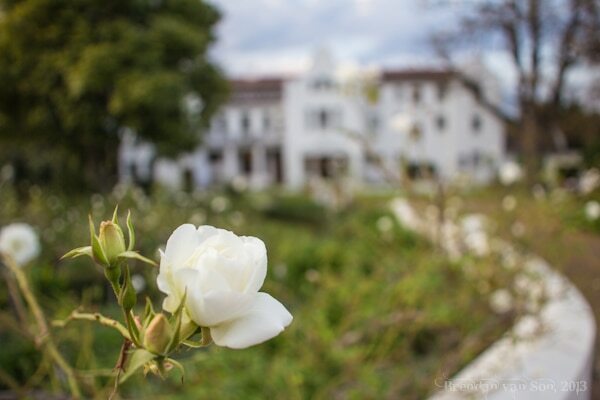 Settled in an old winery, this hotel houses various gardens, historic buildings, a cool bar, stellar restaurant, a couple pools, and a world-class spa. Moreover, the hotel doesn’t seem overdone. It’s relaxing and luxurious, yet still a little bit wild and spontaneous. Though I only had time to spend one night at The Cellars-Hohernort, I could tell it is the type of hotel that one could based their vacation around. 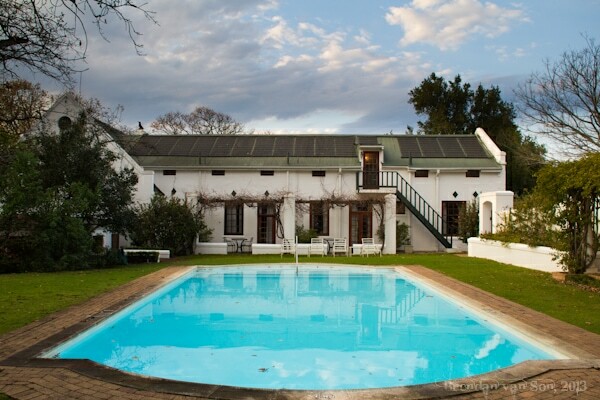 If you’re looking for peace, but still a decent location to get into Cape Town, there is no better choice than here. Moreover, if you’re just looking for a day of relaxation, a book, and a glass of local red wine, this property offers the perfect retreat for a day of serenity. 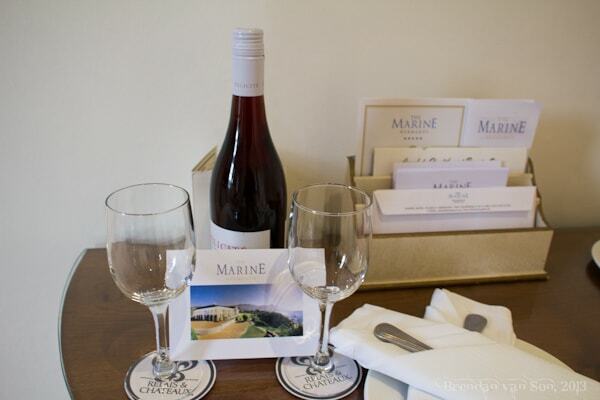 In contrast from The Cellars-Hohernort, The Marine hotel in Hermanus has more of a resort vibe. 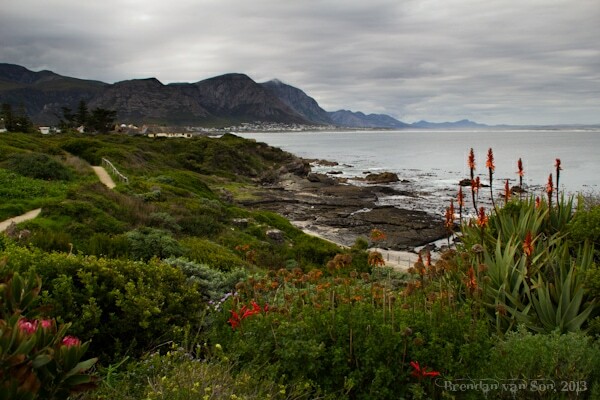 Though it’s not exactly convenient for exploring Cape Town (Hermanus is about 2 hours away from downtown Cape Town) this is a great place to enjoy coastal living. The property takes the coastal theme to heart. Bright white walls and blue tones almost give the feeling of being on a smart luxury cruise liner. 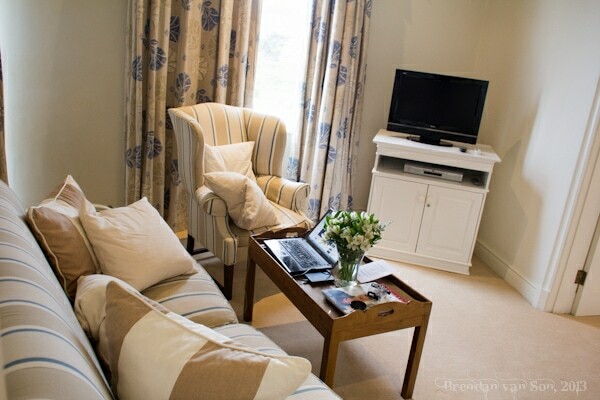 It’s modern with a hint of classic-vintage, and the rooms are well lit and incredibly welcoming. 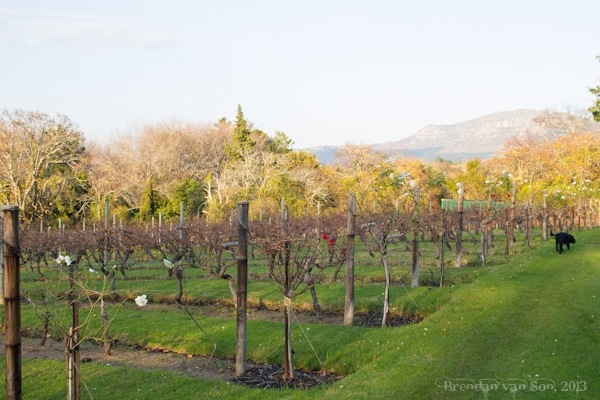 Moreover, if you’re looking for a bit of adventure, Hermanus is the perfect base. The best shark diving in South Africa takes place off the shores here. Moreover, you’re on what is know as The Whale Coast which means that both whale and dolphin excursions can be organized from here at The Marine. There are also plenty of great walks along the coast directly behind the hotel. 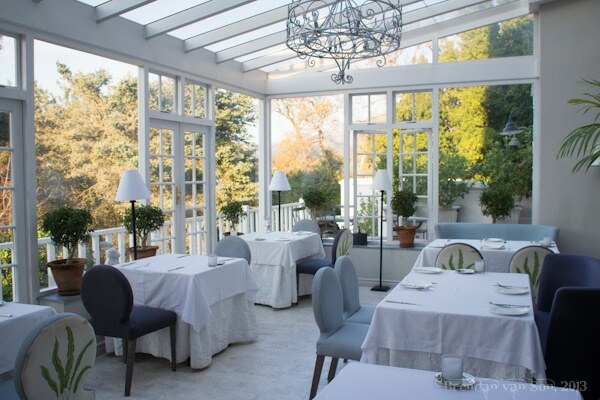 If you’re looking for a bit of elegant-fun in your hotel in the Cape Town area, I can highly recommend either one of these Liz McGrath Hotels. 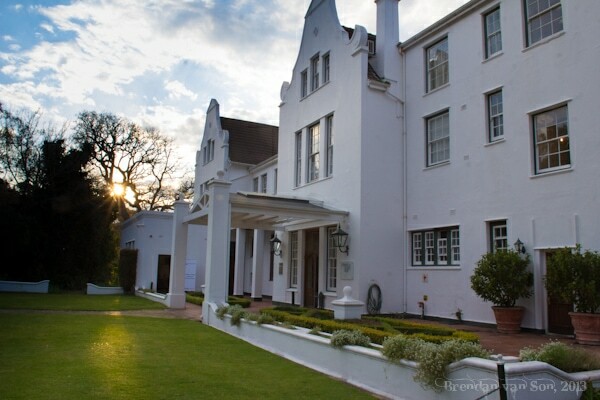 Great staff, luxury and comfort, and a little bit of adventure mixed in, what else do you want in a hotel destination?